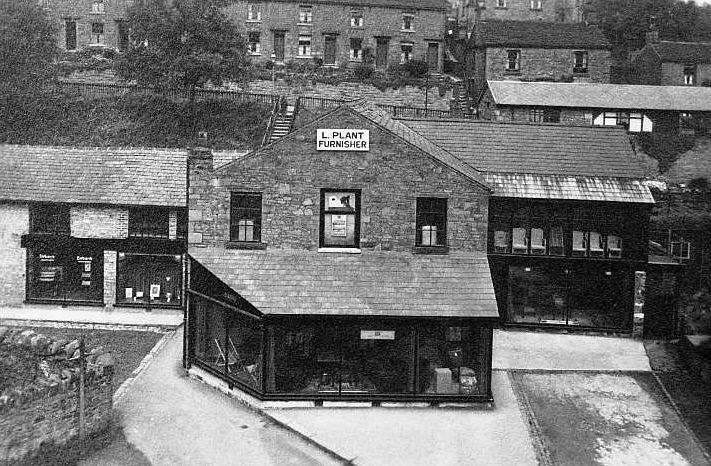 The photo id for this photograph is 736, in the Whaley Bridge L-S album. The triangle of ground in-front of the window must be where the old air shaft or mine shaft must have been (see photo 412), as they would never allow buildings above a potential subsidence site ... Often used the steps to Res. Road, then on up the side of old Doc. Allen's & steps to Orchard Ave. on the way to school.